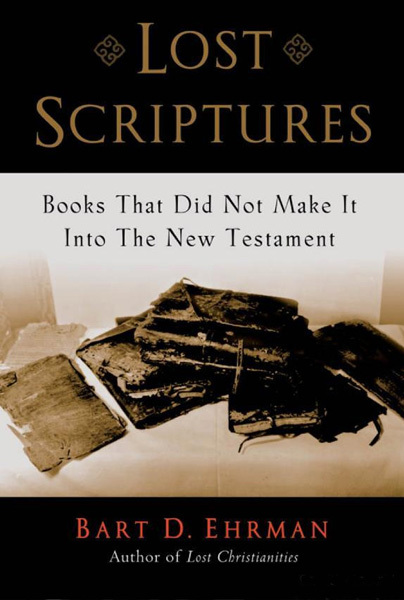 We may think of the twenty-seven books of the New Testament as the only sacred writings of the early Christians, but this is not at all the case. 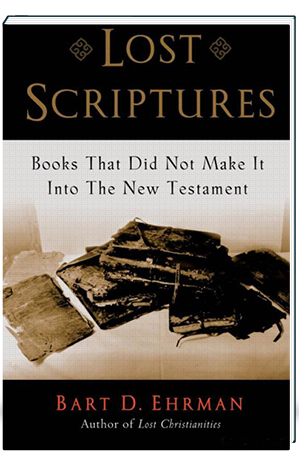 Lost Scriptures offers an anthology of up-to-date and readable translations of many non-canonical writings from the first centuries after Christ–texts that have been for the most part lost or neglected for almost two millennia. Here is an array of remarkably varied writings from early Christian groups whose visions of Jesus differ dramatically from our contemporary understanding. Readers will find Gospels supposedly authored by the apostle Philip, James the brother of Jesus, Mary Magdalen, and others. There are Acts originally ascribed to John and to Thecla, Paul’s female companion; there are Epistles allegedly written by Paul to the Roman philosopher Seneca. And there is an apocalypse by Simon Peter that offers a guided tour of the afterlife, both the glorious ecstasies of the saints and the horrendous torments of the damned, and an Epistle by Titus, a companion of Paul, which argues page after page against sexual love, even within marriage, on the grounds that physical intimacy leads to damnation. In all, the anthology includes fifteen Gospels, five non-canonical Acts of the Apostles, thirteen Epistles, a number of Apocalypes and Secret Books, and several Canon lists. Ehrman has included a general introduction, plus brief introductions to each piece. Lost Scriptures gives readers a vivid picture of the range of beliefs that battled each other in the first centuries of the Christian era. It is an essential resource for anyone interested in the Bible or the early Church.